We didn’t talk, but we shared an hour of our lives. Not just any hour, but an hour that I’m sure felt like a lifetime for you as much as it did for me. We didn’t speak. We didn’t even make eye contact while we waited in the hallway. We sat in a row of 3 seats, with an empty seat between us. We both went through the same routine to pass the time. Checking our phones: lock – unlock – lock – unlock. Tapping our feet, or jiggling our knees. Then moving to rest our elbows on our knees, and foreheads in our hands, staring at the floor, overwhelmed by our own uselessness. Then straighten up, breathe deeply, and stare at the ceiling instead. 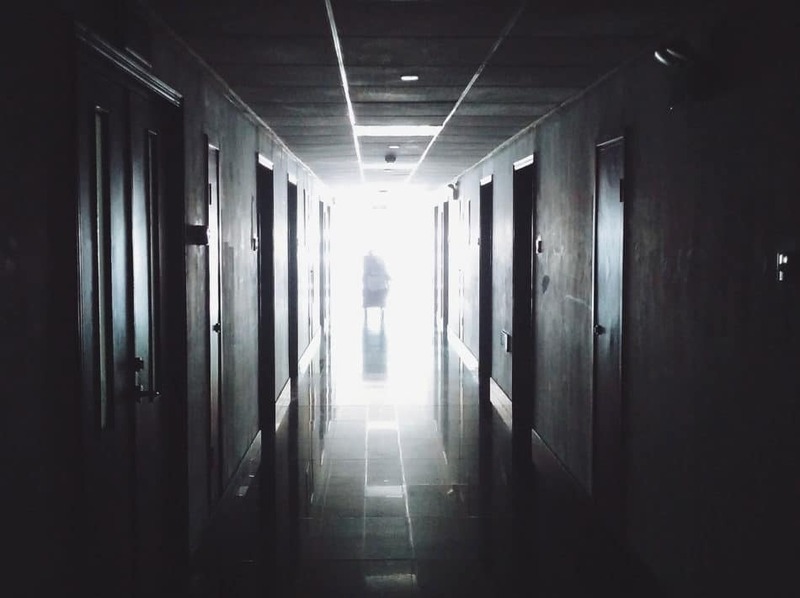 The only pauses to this routine was when the door to the operating rooms that we were waiting near opened; we’d both looked up, and stared, and waited. Countless times that door opened and closed. Every time we looked up. Sometimes we kept staring, waiting, hoping. Towards the end of my wait I stood up and walked away from you, I couldn’t handle you anymore, you were overflowing into me, I had to pace, I had to get away from you. Nothing personal – if I could get away from myself I would have done that too. Because I was drowning myself in “What if. What if. What’s happening? What’s going on? What’s taking so long?” So feeling you drowning also was too much for me to handle. I stood on the opposite wall instead, looking down, looking away, looking at the door, pretending to read the posters on the wall, anything but look at you. I couldn’t bare the possibility that you might speak to me, or ask me why I’m there. It was just a finger. My toddler’s finger. My toddler was in the operating room because she needed her finger repaired after an incident involving her brother’s bike. It was just a finger. When all I was waiting for was a little girl with a hurt finger. The surgeon came out to find me, and told it had all gone well, that my baby girl was just waking up, and I’d see her soon. 20 minutes passed and I started to imagine she’d never wake up. I briefly slipped into the darkest world where I imagined her not in it. And suddenly my life resumed when someone came out to tell me she was ready for me. I heard her before I saw her. 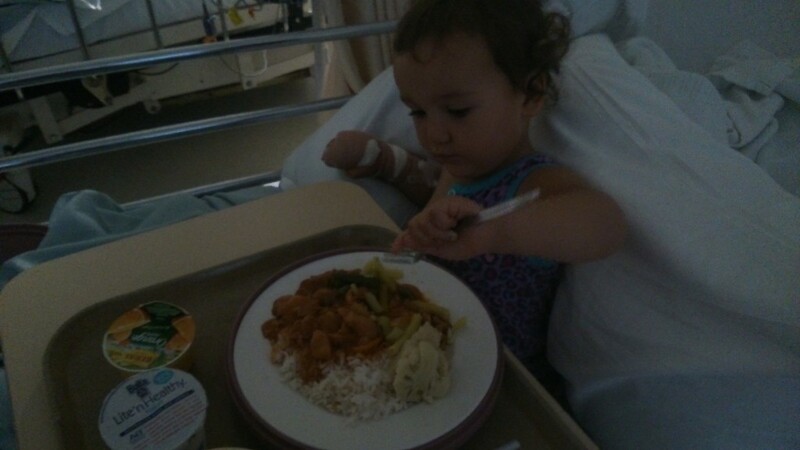 A confused and croaky “Mummy” and the nurses said she’d been asking for me. Life whooshed back into me, and I held my baby girl – she was all floppy and confused, like an over sized newborn, not able to hold her own head up as she recovered from the anesthetic, but she reached for me and curled herself into me. She had a feed, as though she was just waking up from a midday nap; everything seemed normal and right again. She had to go into a cot to be wheeled out back to the children’s ward, and I followed close behind her. As we came through those doors you looked up at us, and for the first time we made eye contact, then you looked at my crying toddler and you smiled at her and looked away. I hope time came back to you, and you’re not still waiting there. I hope you’re home, and whoever you were waiting for is safe in your arms. I hope they know how much you love them. Aww, the last line made me a bit teary Rachel!